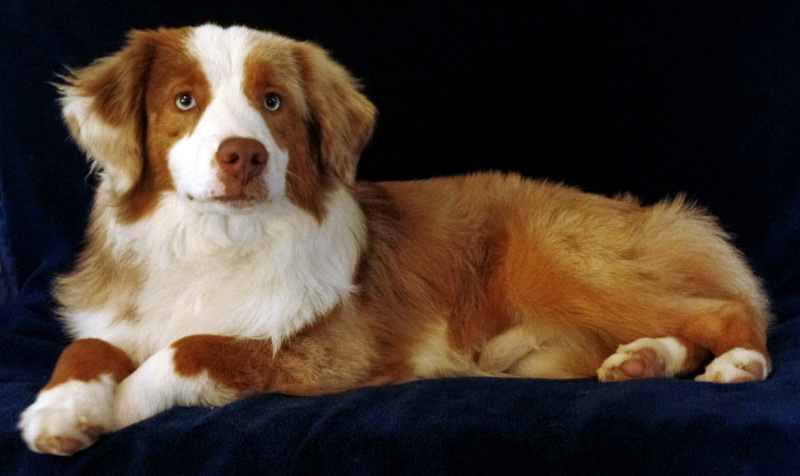 Blaze is a handsome boy with a wonderful disposition. 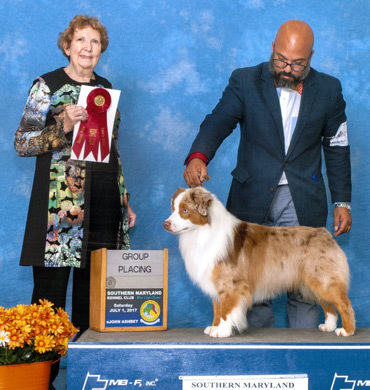 He brings nice bone, solid deep chest, nice head piece, good body proportions and nice angulation to our breeding program. We love his soft blue eyes. 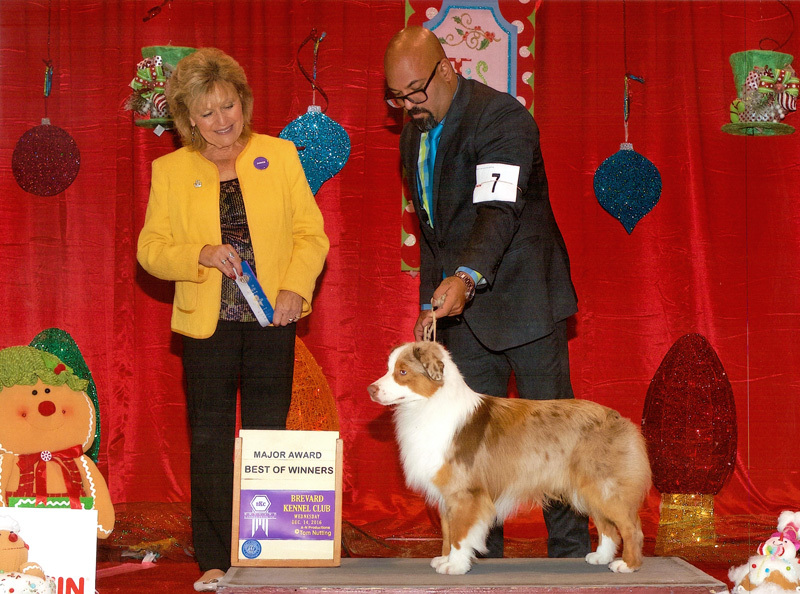 Blaze hit the show ring running. 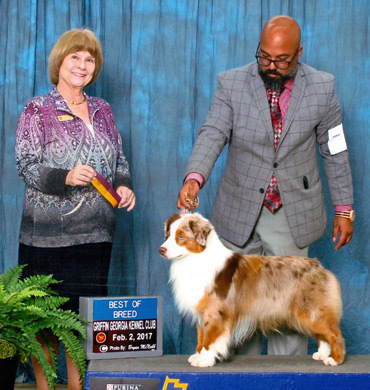 He quickly became an AKC Champion at the AKC National Championship in December 2016. 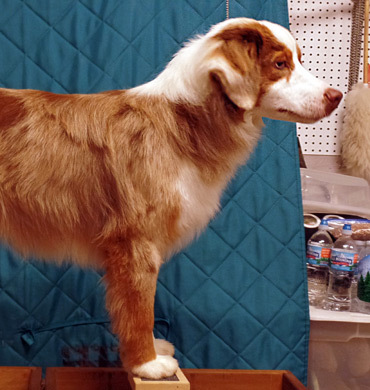 Blaze was Winner's Dog and Best of Winner's at his first AKC National Championship. 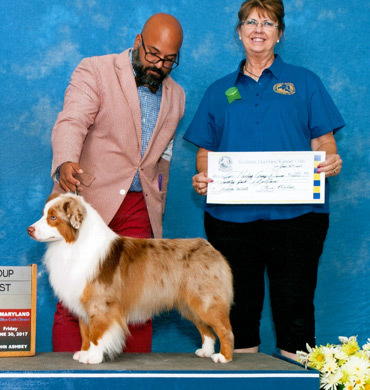 He also won the Best Puppy at the Sunshine State Herding Group Association in December 2016. 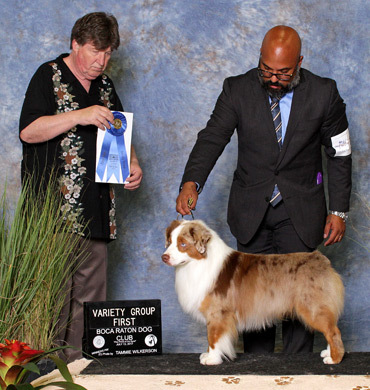 Blaze quickly finished his Grand Championship only a month after his earning his Champion title. 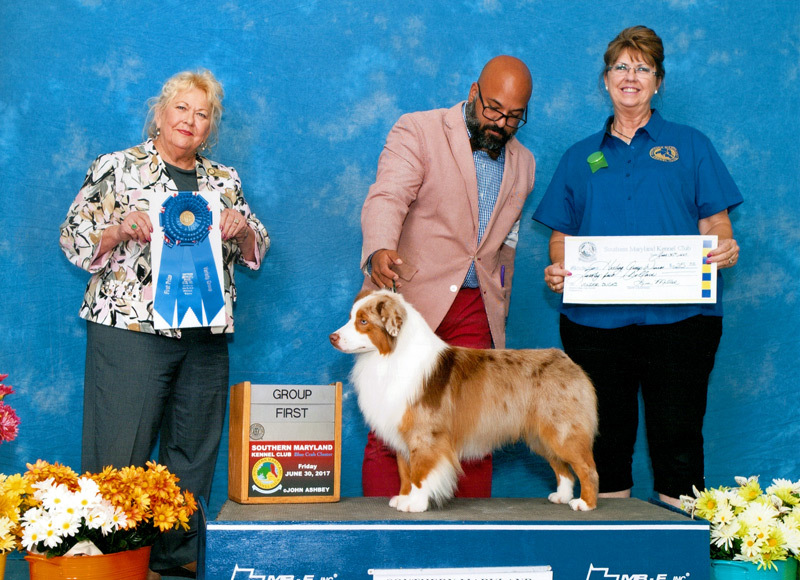 He was ranked in the top three for 2017 in breed and all breed. 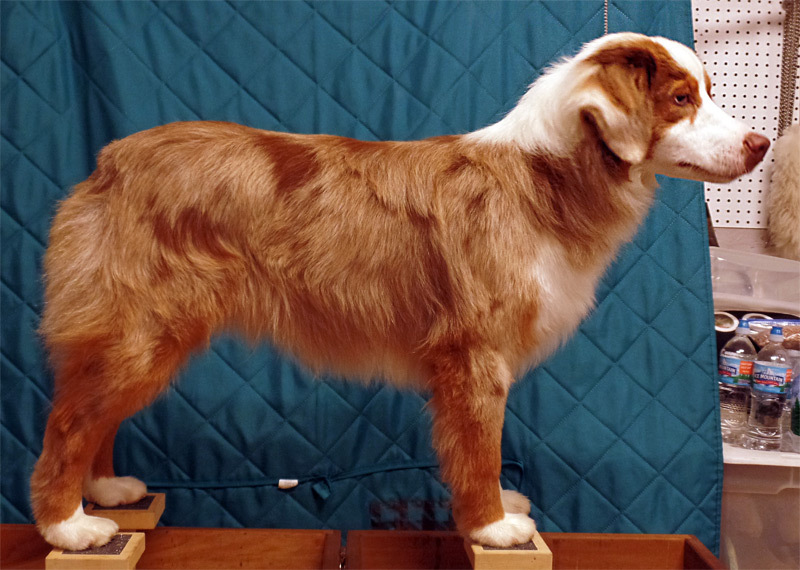 Blaze became a Gold Grand Champion at the young age of 2½ years old. 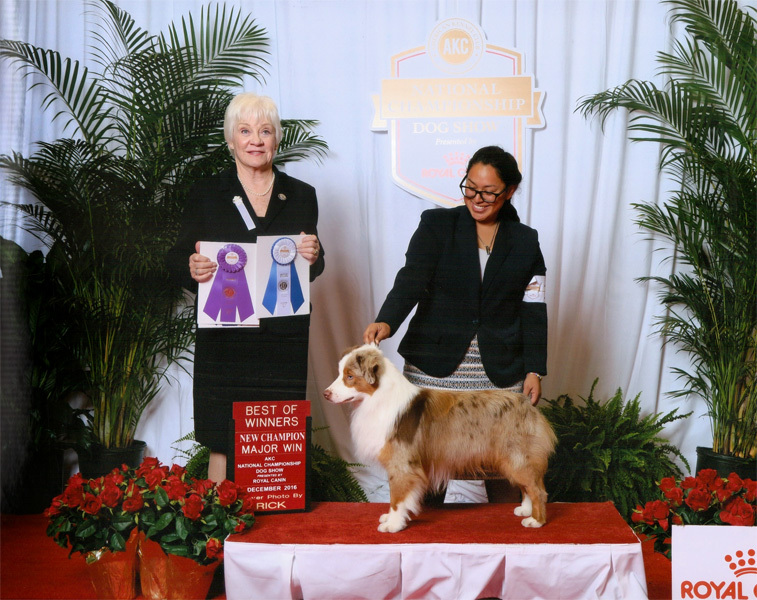 For 2017, he had multiple group placements and a Group One Placement. 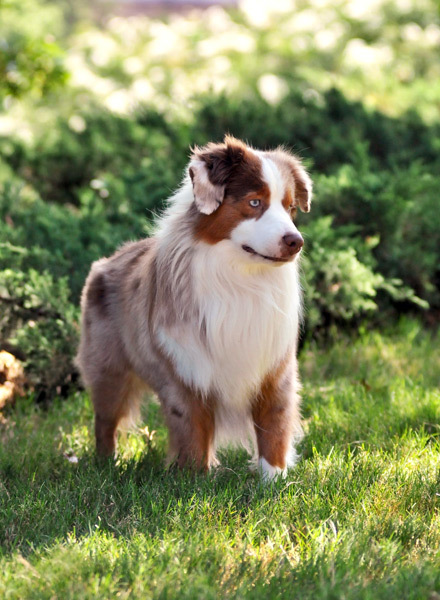 Blaze has sired several litters and is a consistent producer. 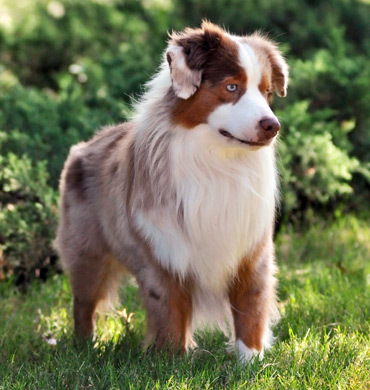 He has multiple Champion offspring. 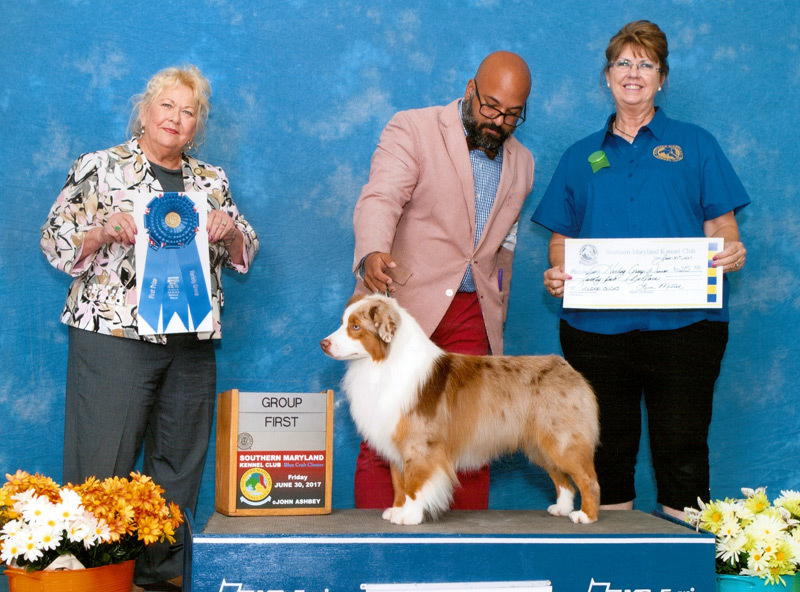 He is quickly winning the hearts of all that he meets. 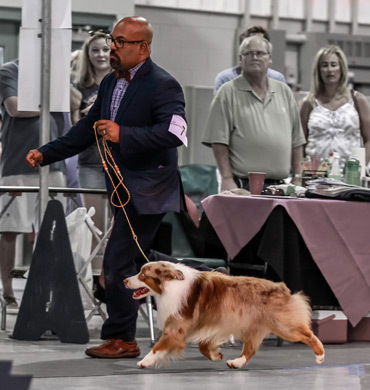 You won't find a dog that has a better attitude. 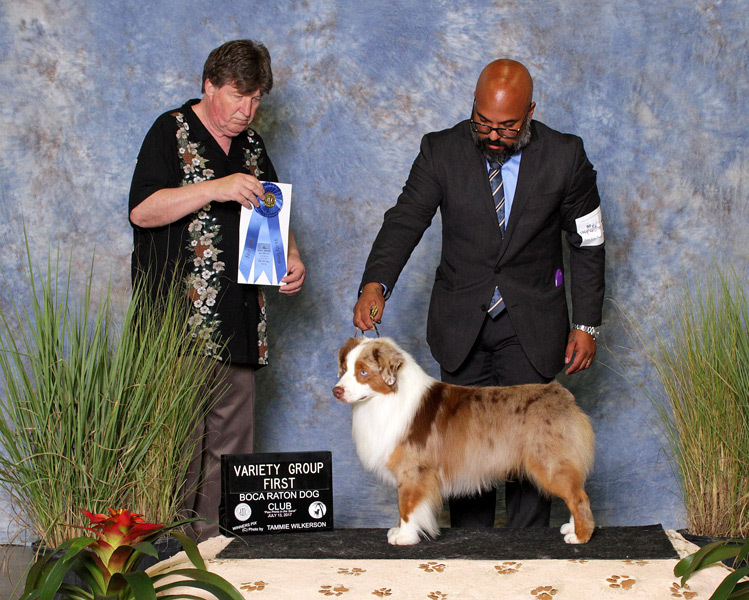 Blaze will be standing at stud to approved females. 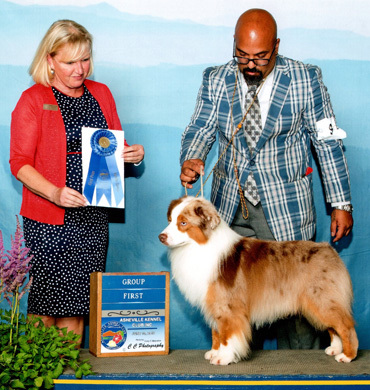 Blaze is shown by Arvind DeBraganca. Fresh/Frozen and live cover is available for Blaze to approved females. 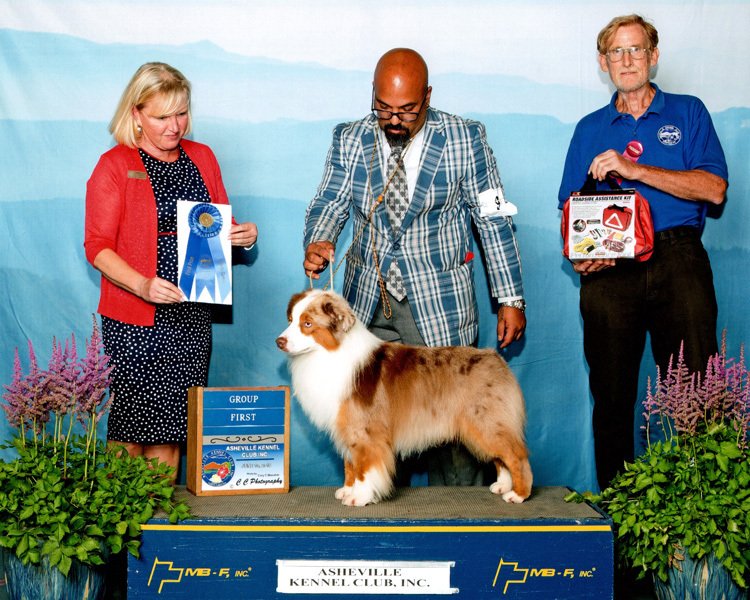 Blaze earns Group 1 at Asheville Kennel Club under Judge Ms. Minna-Liisa Koltes on June 10, 2018. 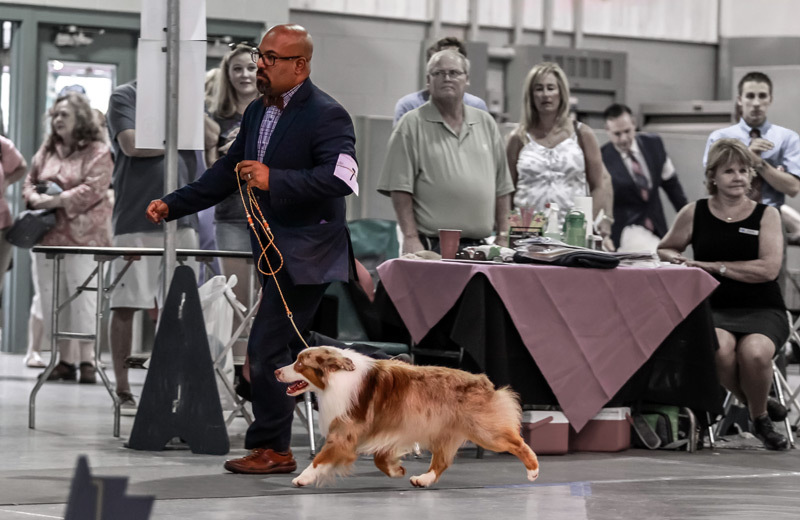 Blaze wins Group 1 at Southern Maryland Kennel Club under Judge Dr. Carol White-Moser on June 30, 2017. Blaze out in Deland, Florida on his way to a Group 2 placement. 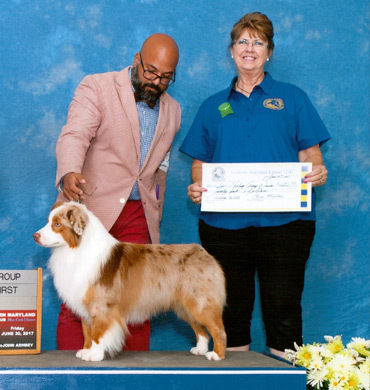 Blaze wins Group 1 #3 at Jupiter-Tequesta Dog Club under Judge Ms. Elizabeth Muthard on July 15, 2017. 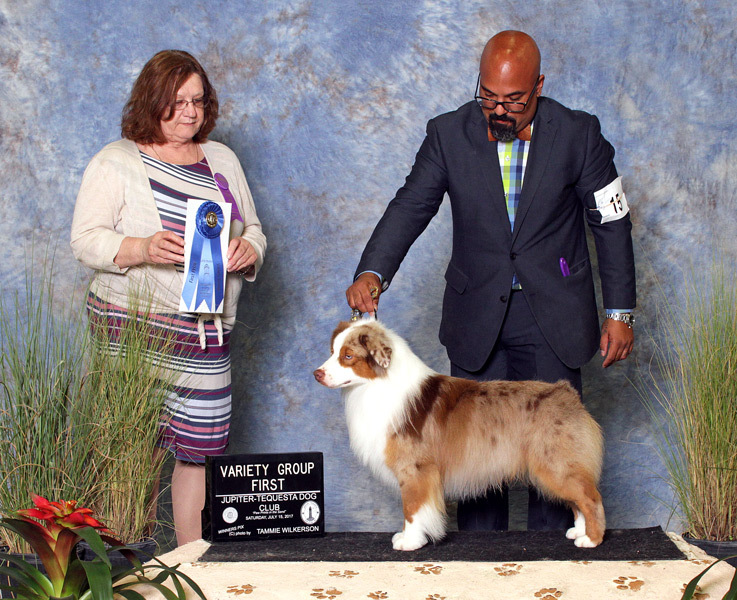 Blaze wins Group 1 #2 at Boca Raton Dog Club under Judge Charles Olvis on July 13, 2017. 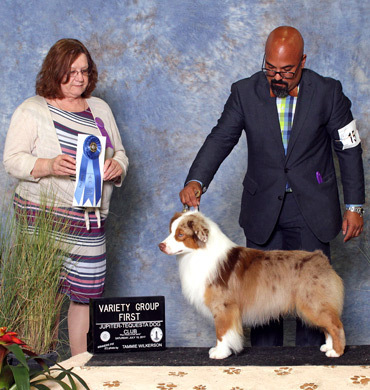 Blaze wins his first Group 2 at Southern Maryland Kennel Club under Ms. Laurie King Telfair on July 1, 2017. 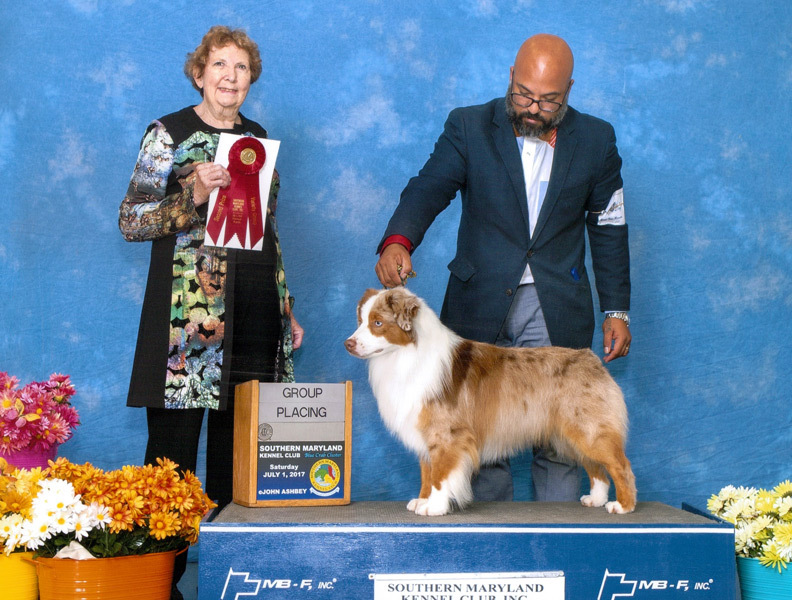 Blaze wins his first Group 1 at Southern Maryland Kennel Club under Dr. Carol White Moser on June 30, 2017. 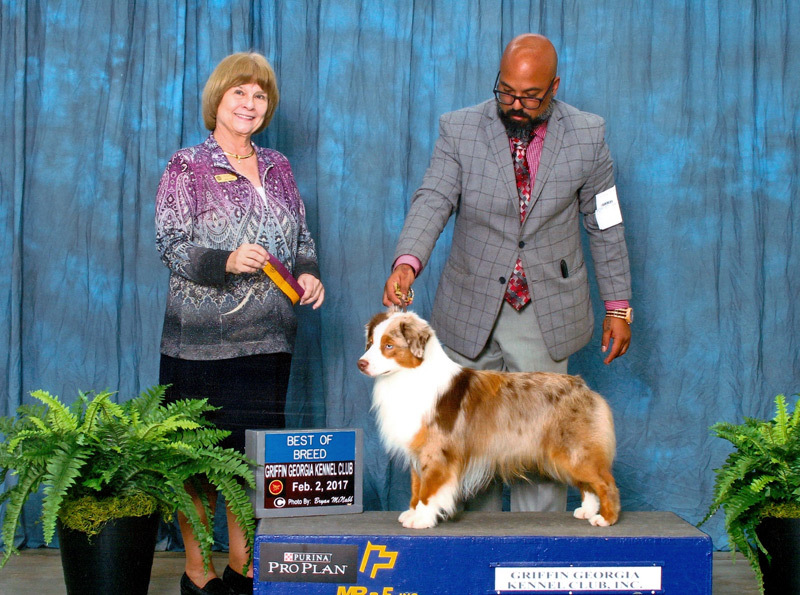 Blaze became an AKC Grand Champion at the Griffin Georgia Kennel Club in Atlanta, GA with Judge Linda Robey on February 2, 2017. 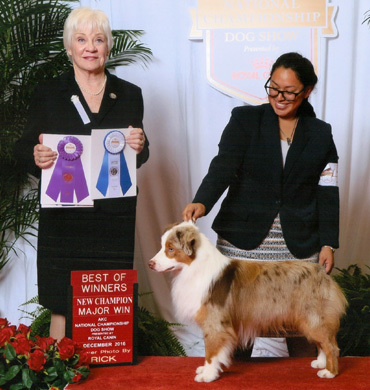 Blaze earned Winners Dog and Best of Winners and became an AKC Champion at the AKC National Championship with Judge Dorothy Collier in December 2016. 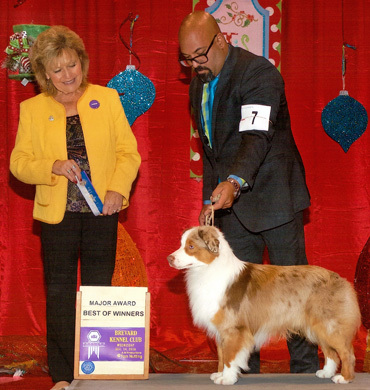 Blaze earned Best of Winners at the Brevard Kennel Club with Judge Ms. Diane P. Miller on December 14, 2016.